Presented in an excellent condition, this 3-bed house has a large open-plan sitting room with . . .
Close to Prayssac centre, spacious modern house (70s), 7 bedrooms, currently run as a successful B&B, with swimming pool and landscaped garden. This property is ideally located on a quiet street in a residential area, walking distance to . . . Quietly situated on a cul de sac you will find this nicely renovated and well presented 3 . . .
Near Prayssac in a peaceful typical french hamlet! Beautiful 17th century house built in natural stone with heated pool and barn. 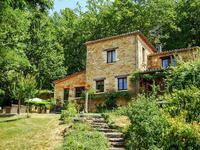 Cosy family home in a lush park of 2890m2 with trees, fruittrees and flowers. Pretty family . . . 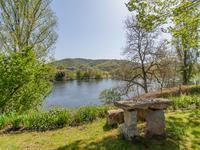 This villa, with gardens along the river Lot and its own little jetty, benefits from a large, . 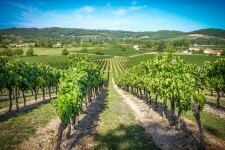 . .
Up and running vineyard for sale, 19 ha of Cahors AOC, and 20 ha of agricultural land. Award winning family run business in proximity of Cahors. 21 ha of vineyards - 15 ha is full . . . 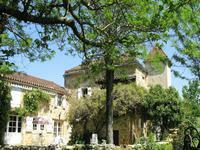 This property is located within walking distance from the centre of Prayssac with all its . . . Attractive family home with two large barns and an in-ground swimming pool. The property . . . Beautifully presented, traditional stone property with guest accommodation. This house has 5 . . . Unique modern property, accommodation on several levels, 4 bedrooms, built against hillside with woods. 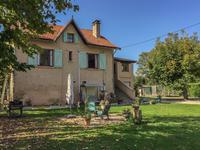 This property is situated just of the main road, a few kilometers from Prayssac. Several . . . Wonderful opportunity to acquire a historic property set in over 30 acres with magnificent . . .